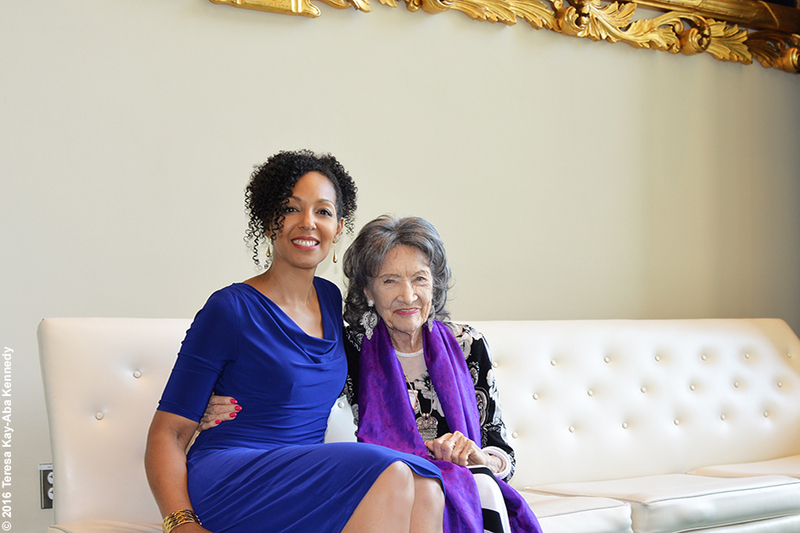 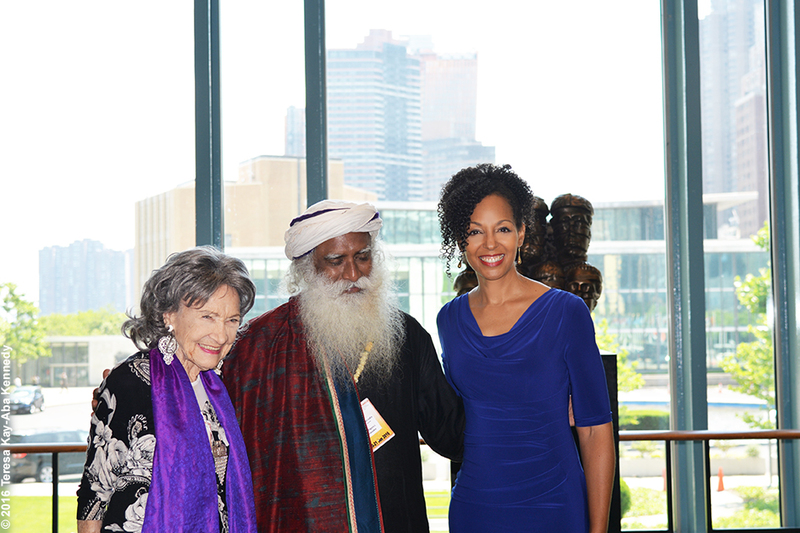 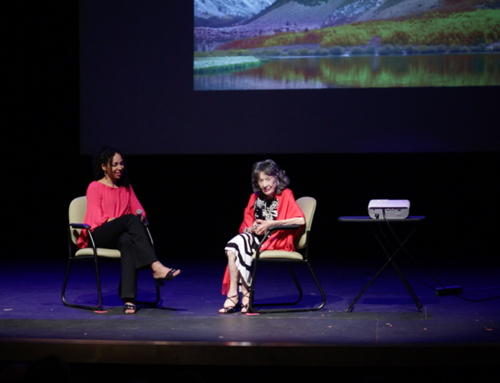 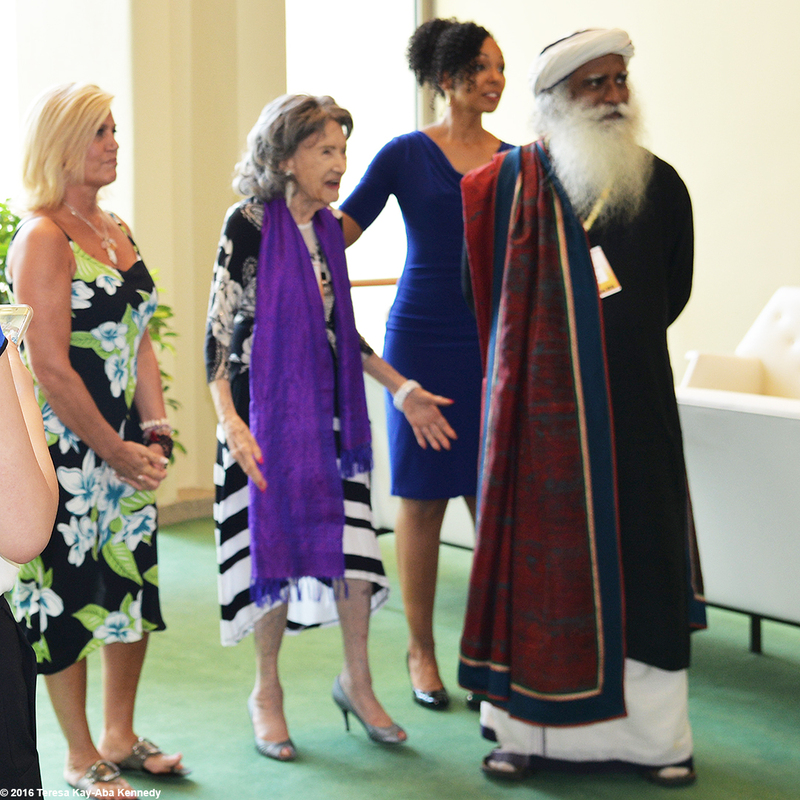 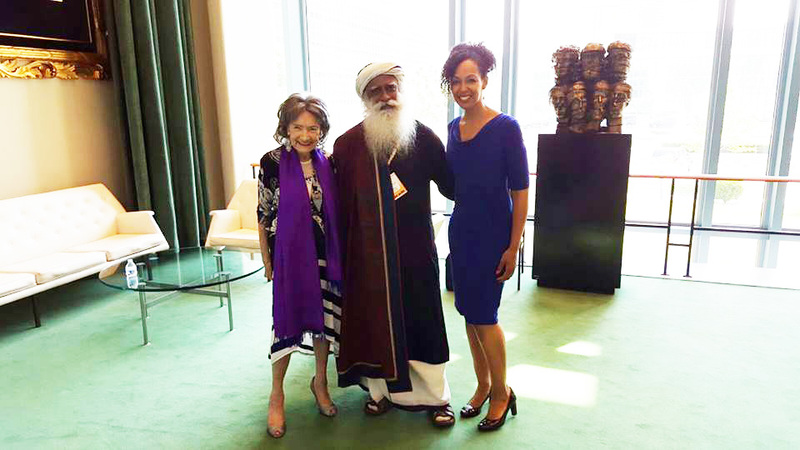 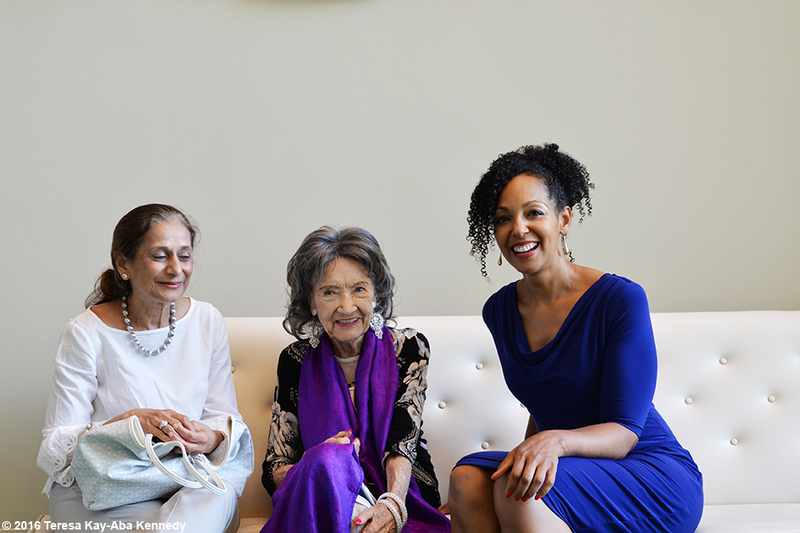 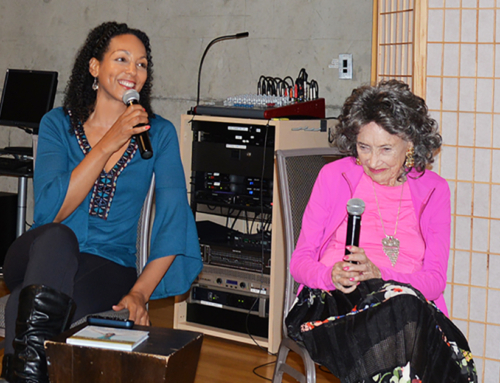 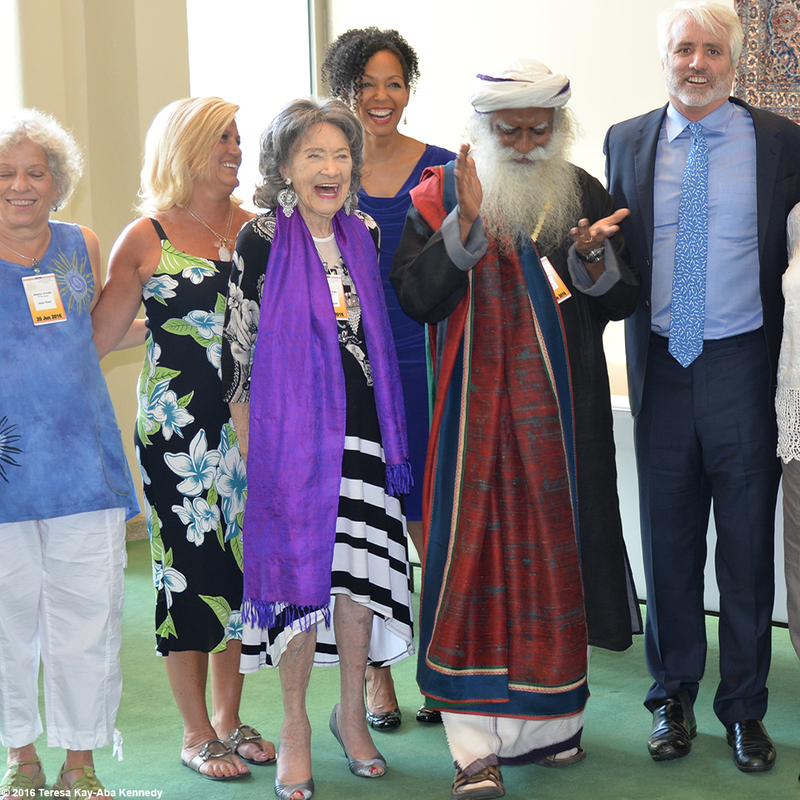 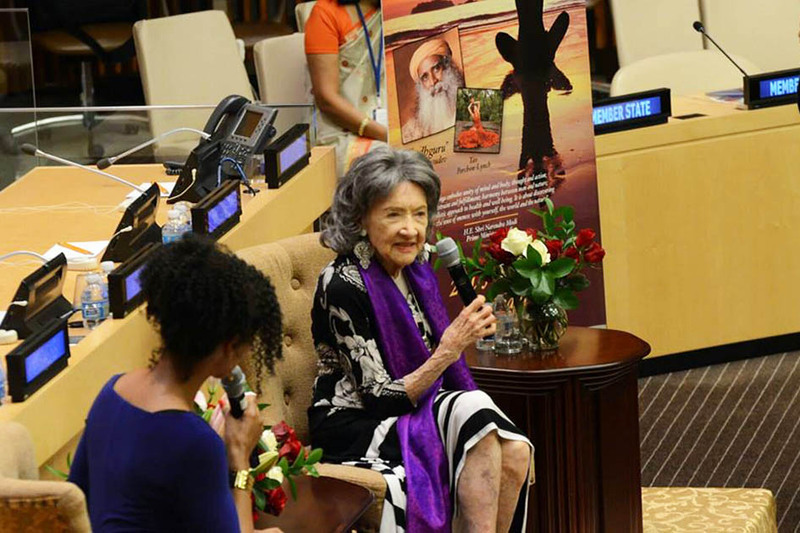 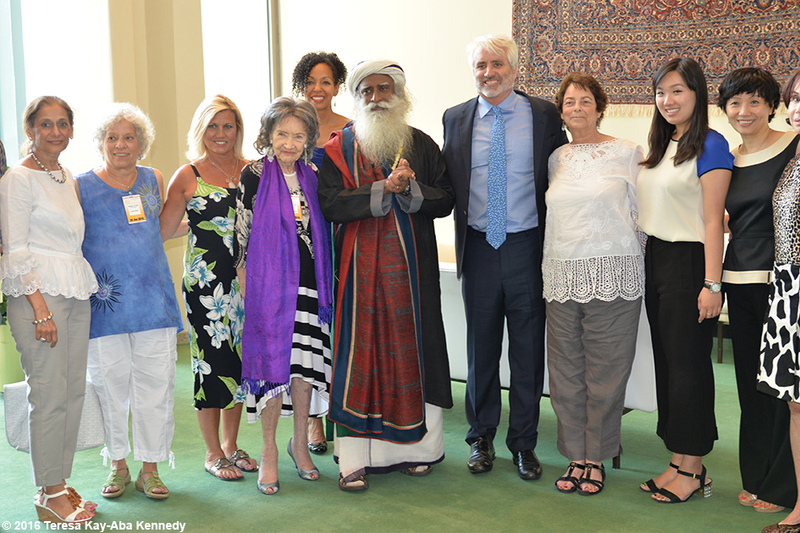 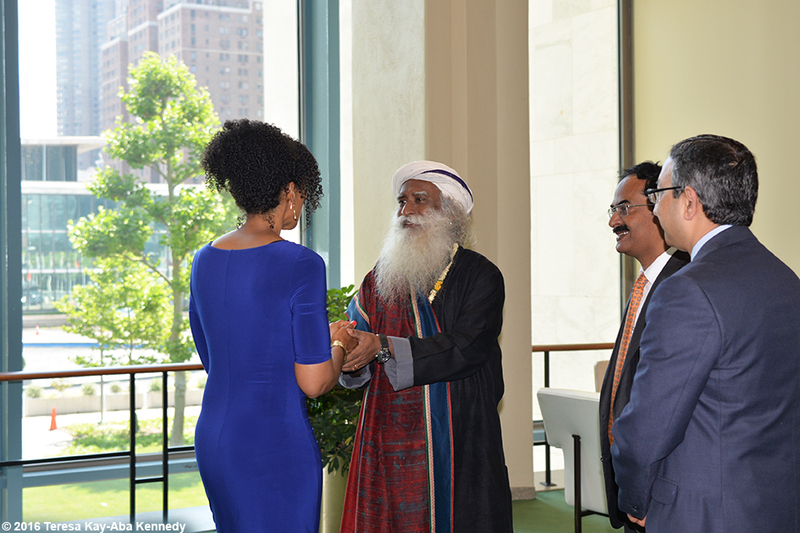 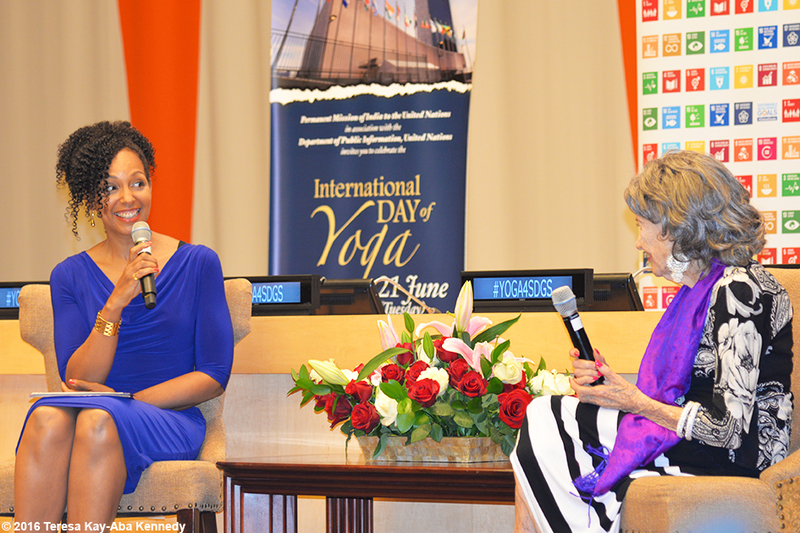 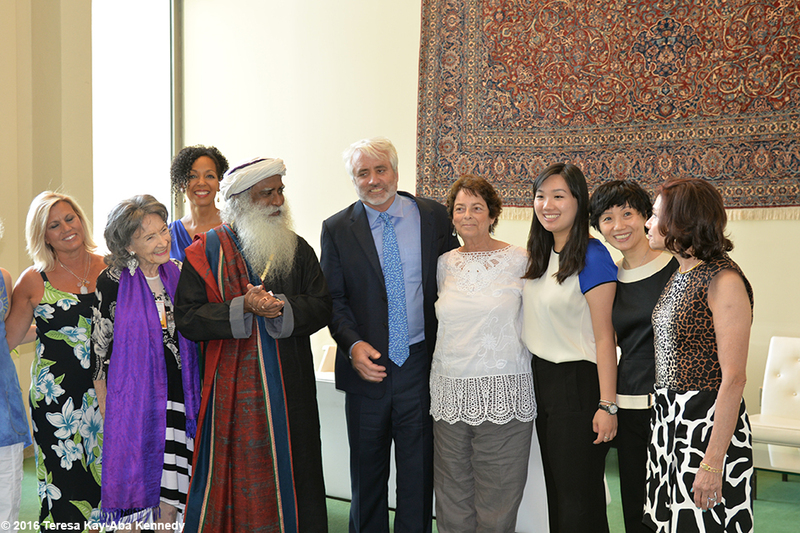 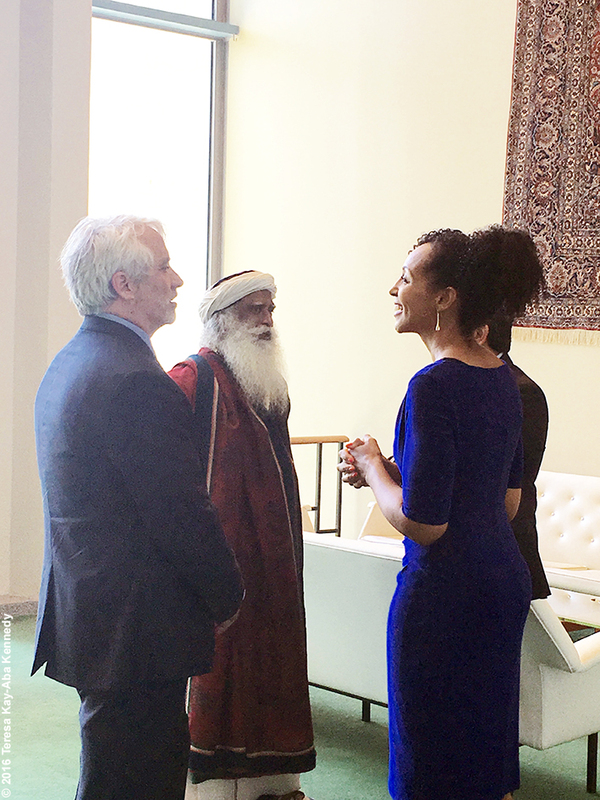 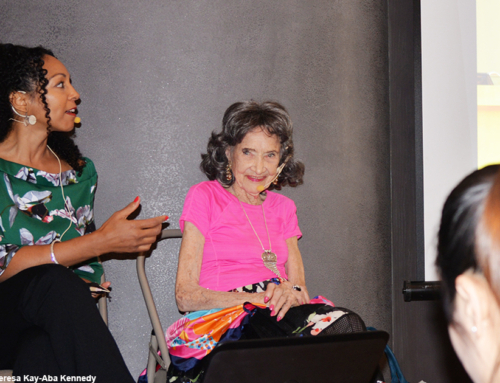 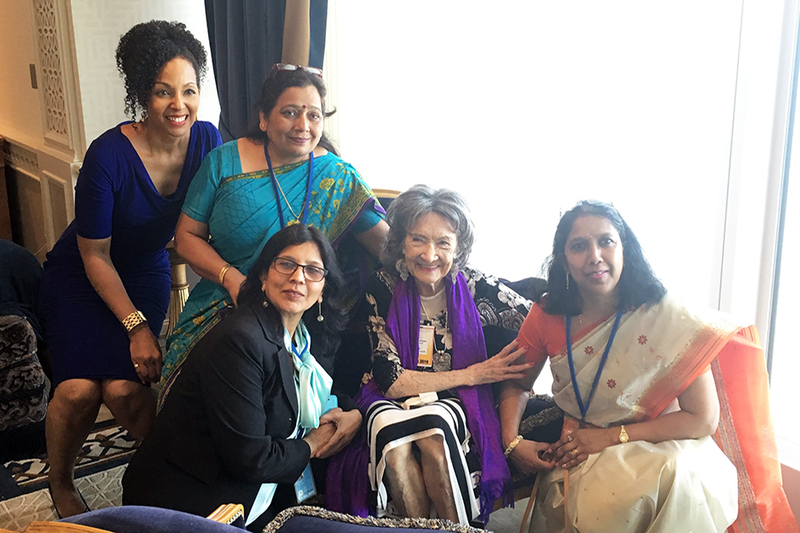 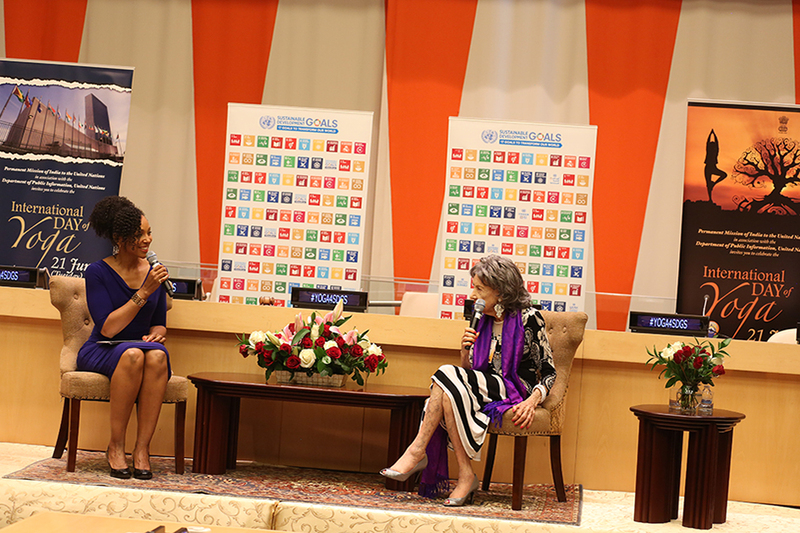 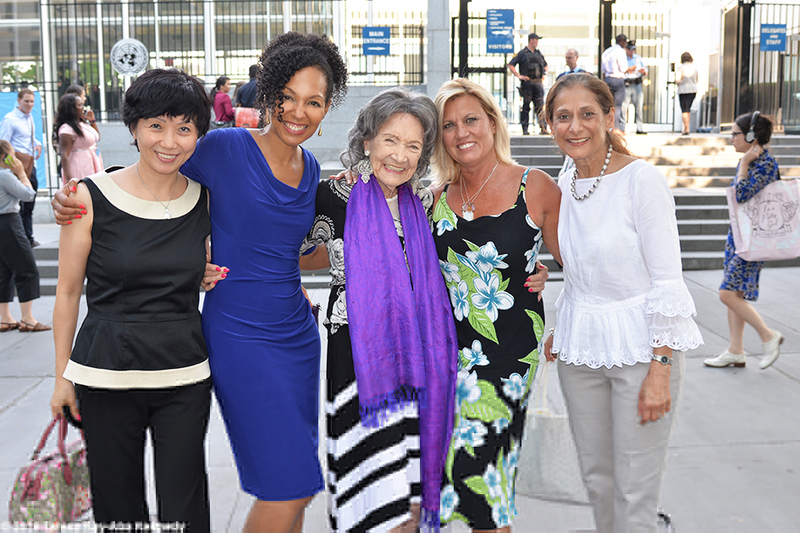 June 20, 2016 – On the summer solstice, one day in advance of International Day of Yoga, I had the pleasure of doing a program with 97-year-old yoga master Tao Porchon-Lynch at the United Nations. 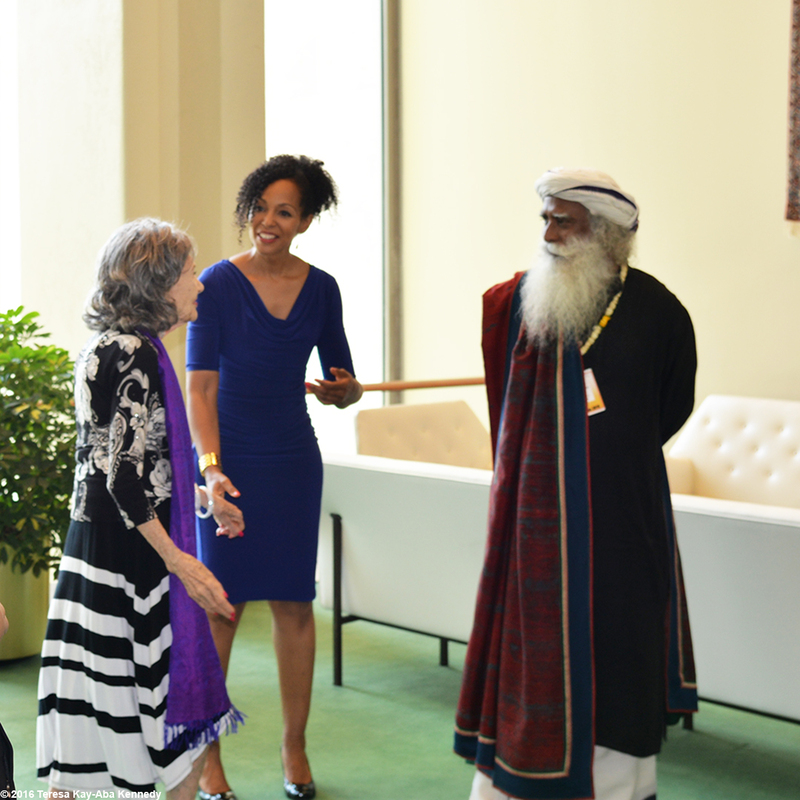 We joined the Founder of Isha Foundation, Sadhguru Jaggi Vasudev. 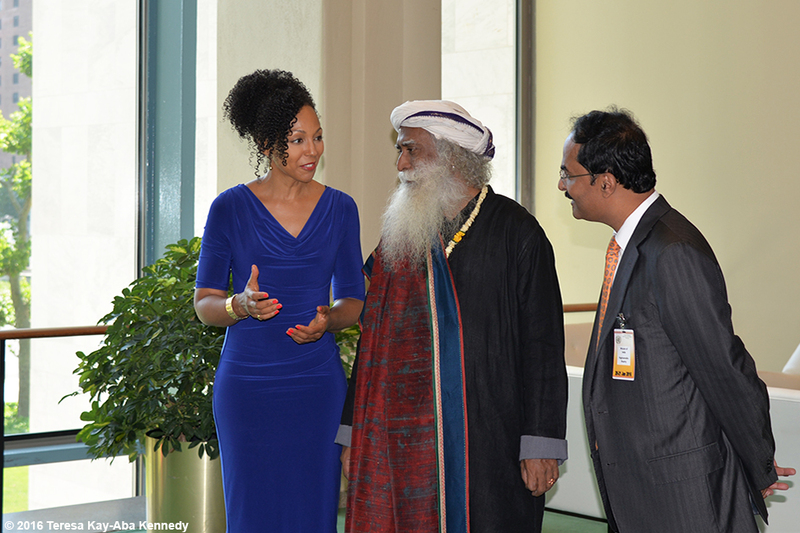 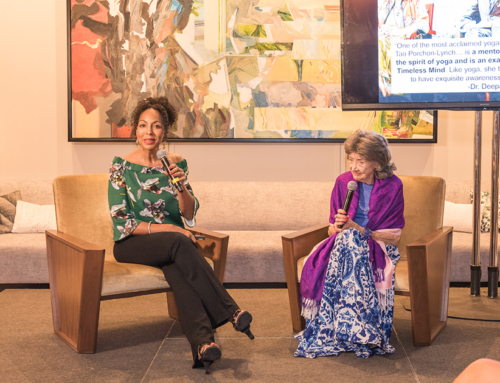 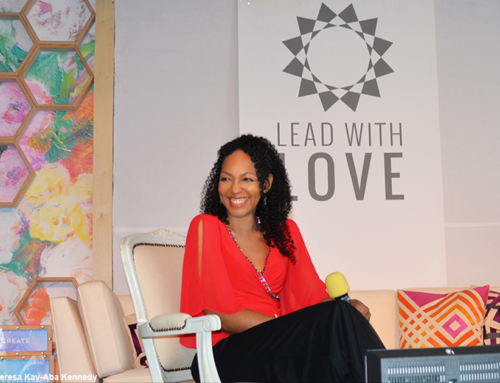 As a World Economic Forum Young Global Leader and her biographer, I was delighted to moderate Tao’s conversation. 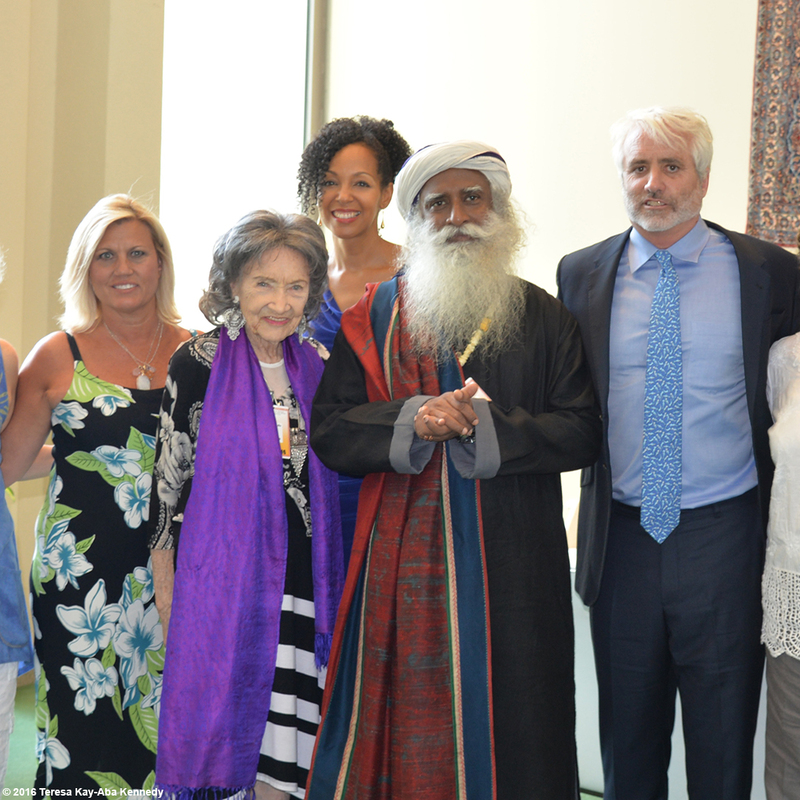 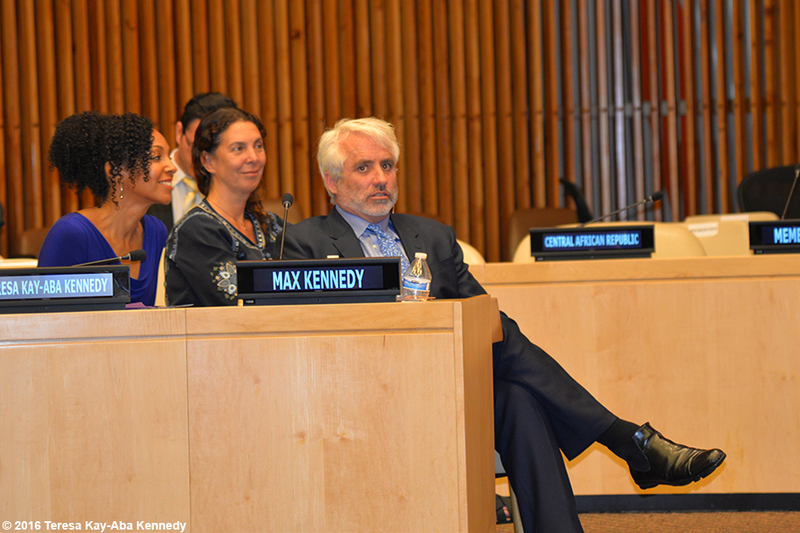 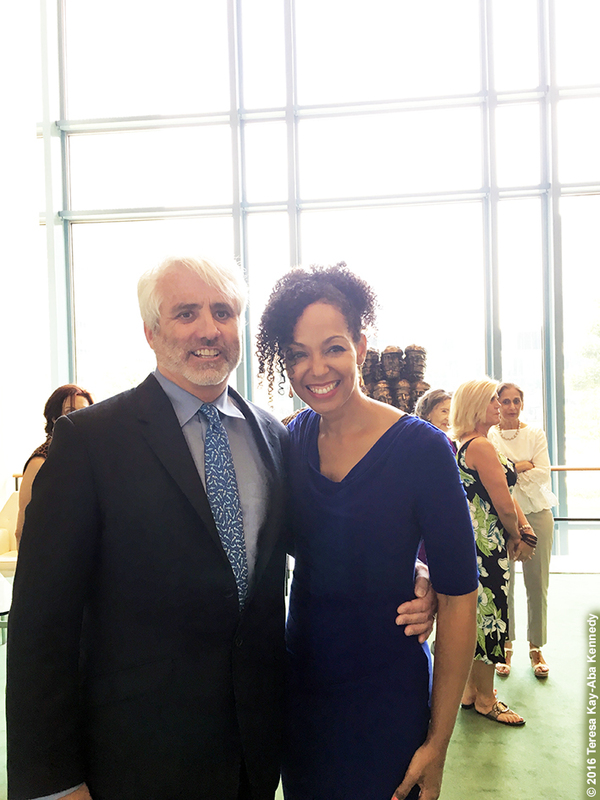 Sadhguru’s conversation was moderated by Max Kennedy, author and son of Robert F. Kennedy. 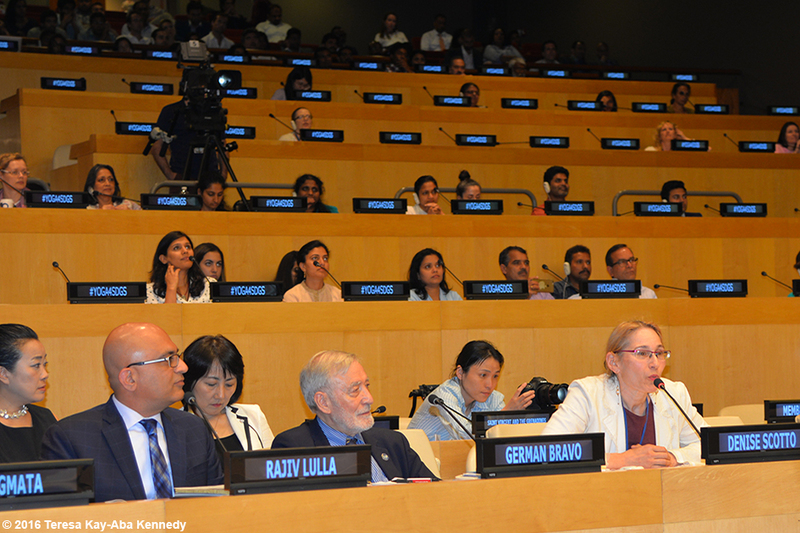 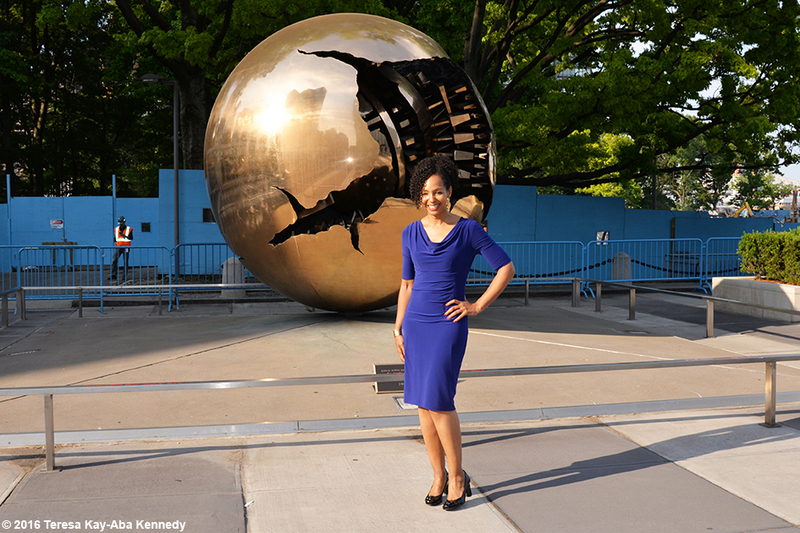 The audience included senior UN officials, ambassadors and other dignitaries from various countries. 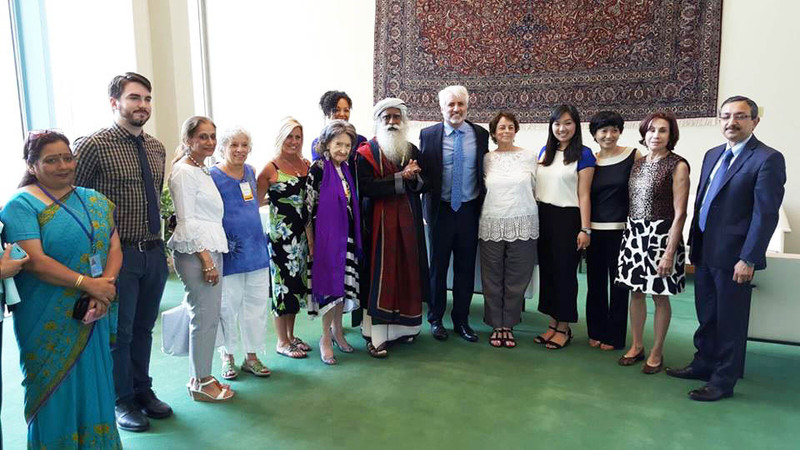 The topic was “Yoga for the Achievement of the Sustainable Development Goals (SDGs)”–how the different physical and mental aspects of yoga can help create a more equitable and harmonious world. 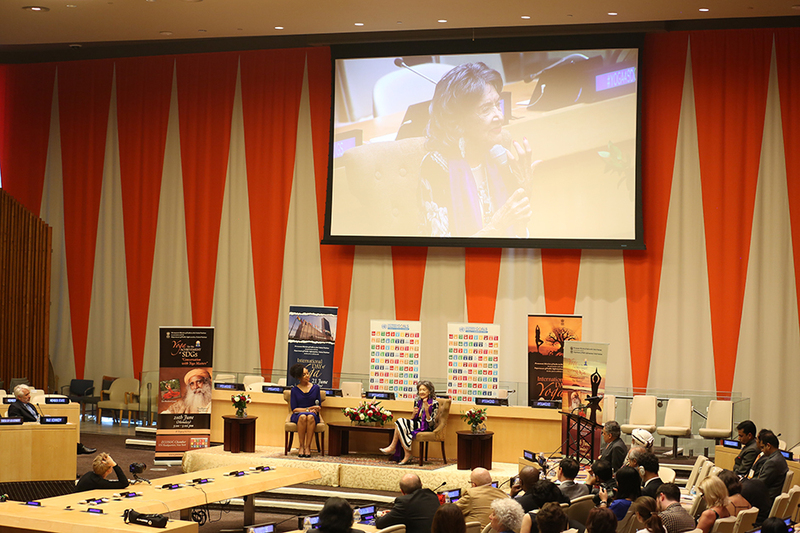 Adopted last year by all 193 United Nations member states, the Agenda for Sustainable Development includes a set of 17 goals to end poverty, fight inequality and injustice, and tackle climate change by 2030. 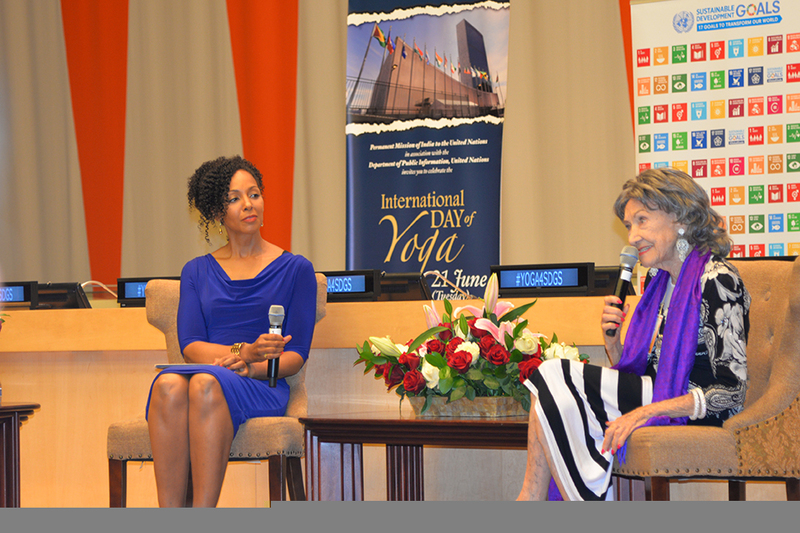 Yoga provides a framework for more conscious living and decision-making, as well as a path to foster peace. 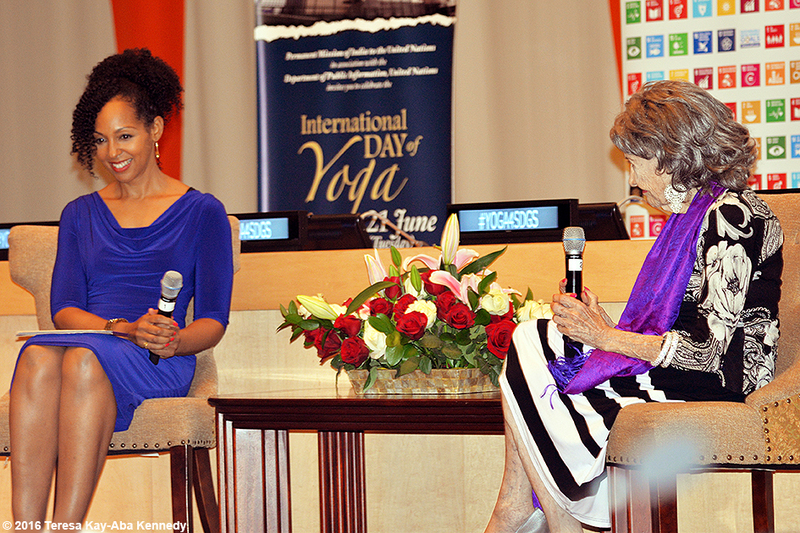 Underlining that yoga is becoming a world-wide phenomenon, Sadhguru said the science of yoga is not just about health and fitness but it is the “ultimate solution for every aspect of human existence.” Speaking to UN Radio, Tao said she was pleased to see more people participating in yoga and that the ancient practice represents the “breath of eternal.” As for the United Nations, she said the world body was most necessary.